The Apollo 8 astronauts were the first people to see the dark side of the moon with their own eyes. The black ceramic Co-Axial Speedmaster salutes their pioneering spirit and pays homage to the Speedmaster Professional chronographs worn by every Apollo astronaut. Inspired by a legacy: This timepiece is the product of groundbreaking technologies: it is crafted from a single block of black zirconium oxide ceramic. 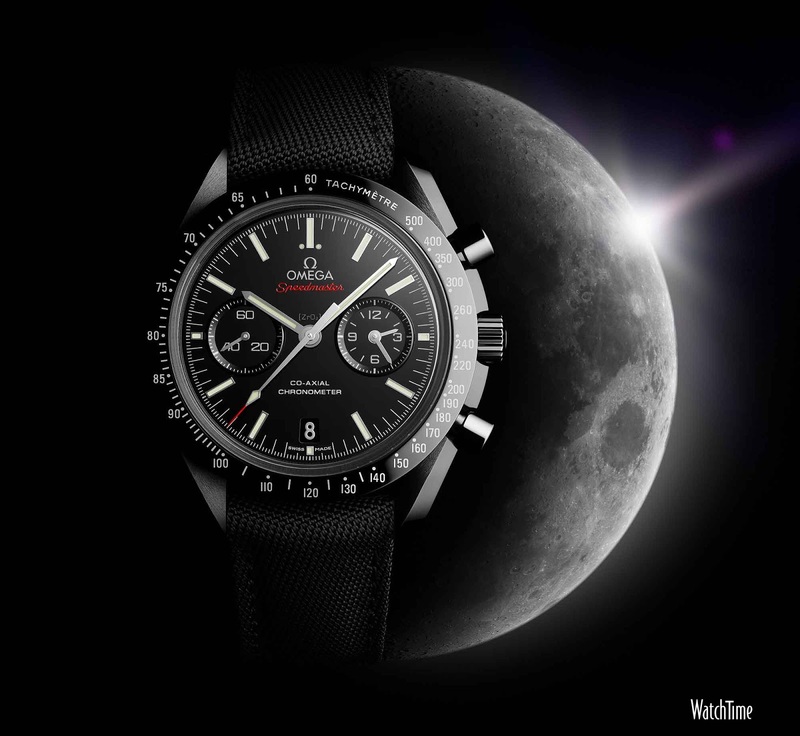 The OMEGA Speedmaster “Dark Side of the Moon” redefines the iconic design of the Moonwatch and its name evokes the mysteriousness and allure of space.